Finland supports the stabilisation of Afghanistan through development cooperation and humanitarian aid as well as military and civilian crisis management. Finland participates in the NATO-led Resolute Support operation and contributed strongly to the EU’s police mission EUPOL (European Union Police Mission in Afghanistan). Finland takes part in NATO’s Resolute Support operation that started on 1 January 2015. Around 16,000 soldiers are deployed to the operation, which focuses on four regional centres and Kabul. About 60 Finnish soldiers are currently deployed to the operation. Finnish troops are mainly in the Northern Command Mazar-e-Sharif where they are responsible for advisory tasks, training and staff duties. 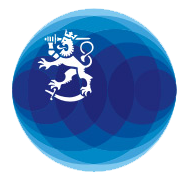 Before the Resolute Support operation, Finland participated in NATO’s crisis management operation ISAF in 2002-2014. ISAF was tasked to support the Afghan government in stabilising the country’s security situation. The Resolute Support operation is tasked to train, support and advise the Afghan security forces (ANSF) on a strategic level and to contribute to the country’s security structures. ​​​​The goal of the operation is to bring the Afghan security forces and structures to such a level that they can independently and competently keep the country’s security situation stable while complying with the principles of good governance and respecting human rights. The EU’s civilian crisis management operation EUPOL (European Union Police Mission in Afghanistan) was carried out in Afghanistan in 2007–2016. Throughout the years, Finland has been one of the most significant providers of experts in this mission. Finns have also worked in management positions in the operation. In addition to the EUPOL operation, Finnish civilian crisis management experts have worked in Afghanistan in the EU Special Representative’s office, the NATO Senior Civilian Representative’s office in Kabul and the German Civilian Representative’s office in northern Afghanistan. Similarly as in other military crisis management operations, people recruited to Afghanistan include mainly reservists. The educational and professional backgrounds of the experienced reservists reflect the entire spectrum of Finnish society. This is an asset when cooperating with local population, administration and non-governmental organisations, for instance. Some of conscripts receive training for international missions already during their conscript service period. In addition, persons selected for operations are provided with specific introductory training for each operation and task. In civilian crisis management, recruitment is carried out by the Crisis Management Centre Finland (CMC), which also acts as the state employer of persons appointed in expert positions.